Making a budget is one of the smartest financial planning moves anybody can make in Madison. So why do so few of us do it? Well, some people just don’t know how; others are afraid to own up to their past savings failures; and some people set too strict of goals, and quit after a month or two. Buckle your seatbelt. 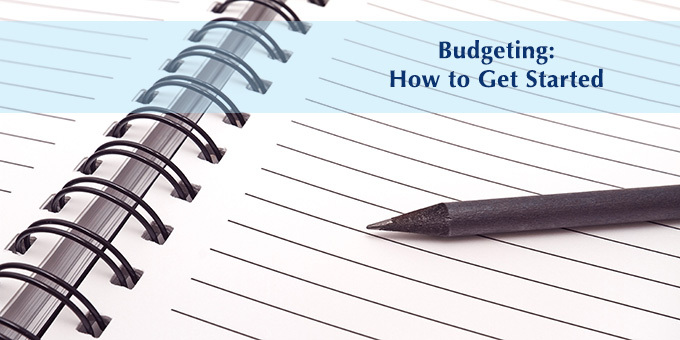 We’re about to break down the budget process–to show that you CAN start AND stick to one. Though everyone’s financial history and current situation is different, we think that following this guidelines can help anybody design a budget they can stick to. The first thing you need to do when making a budget is figure out how much money you make, or, what your income is. This one isn’t hard! But if you’re a salaried employee, it’s going be especially easy: Simply gather up your last two pay stubs, look at what you brought in after taxes, social security and retirement money was taken out, and add them together. This is your monthly income. If you’re an hourly employee, it’s going to be just a tad bit more complex to figure out your income, since your hours likely vary from week to week. I’d recommend gathering up your pay stubs for the last four-to-six months, adding them up, and then dividing by however many months you decided on. This will give you a pretty good estimate about how much money you’re working with each month. Some experts recommend–if you’d like to play it really safe–using the month in which you made the least amount of money as your monthly budget’s income amount. And, if you’re a gigging musician, a freelance writer or what have you: Don’t forget to include, on average, how much money you bring in from your side work each month. Now, you’re going to figure out how much money you spend, on average, in a month. For now, we’ll just focus on an overall amount; we can get to categorizing your expenses later. However, your expenses will most likely include: a mortgage or rent payment, any insurance or loan payments, utility and internet bills, and of course, all purchases (big or small) you make. You’re going to have to keep track of your spending for the next month or two. This means taking note of every purchase you make and every expense you pay off. Some people may find it easiest to jot everything down in a notebook at the end or beginning of each day, or do the same in a spreadsheet on the computer. Some may find it easiest to just take photos of all your receipts on your phone. Whichever way you do it, the method doesn’t matter: the important part is to make sure you have a log of literally every purchase you’ve made in a two month period. You can either follow the guidelines listed directly above, or you can use your credit card and bank statements from the two previous months to figure out your expenses. Though these two steps can seem tedious, you NEED to know how much money is coming in and going out each month–and now you do! The next step to making a budget involves figuring out just what to do with this very valuable information you’ve accumulated! Tom is a 2006 graduate of UW Madison, currently residing in Verona with his wife and 2 girls. He has been passionate about writing ever since he was 15 years old, and displays that same enthusiasm in his work today. When he’s not sharing insightful financial wisdom, you can find Tom chilling on the Union Terrace, enjoying craft beer at the Great Dane, or hiking at Governor Nelson State Park. In the Fall he loves to take his family to Badger Football games! View all posts by Tom S.